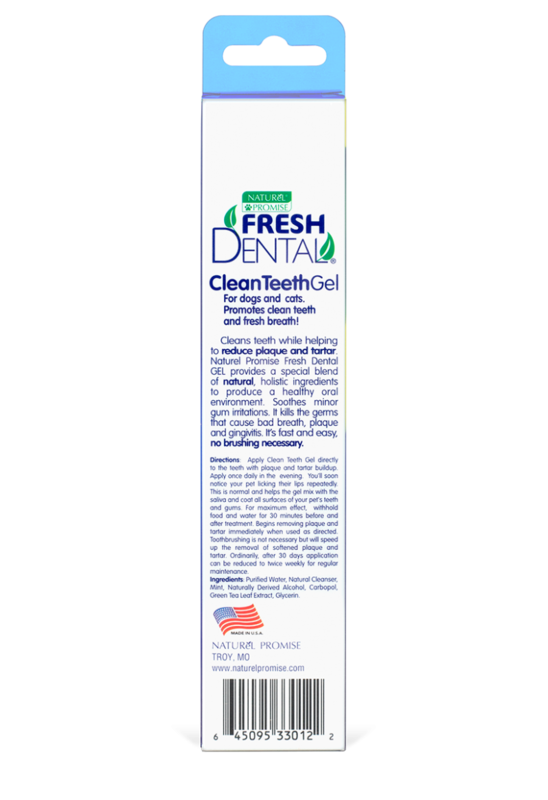 Fresh Dental Clean Teeth Gel is made with natural ingredients you can trust. 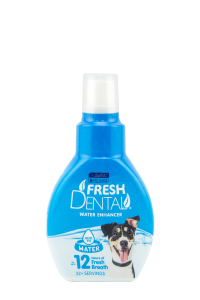 The special blend of natural, holistic ingredients kill the germs that cause bad dog breath, plaque and gingivitis. 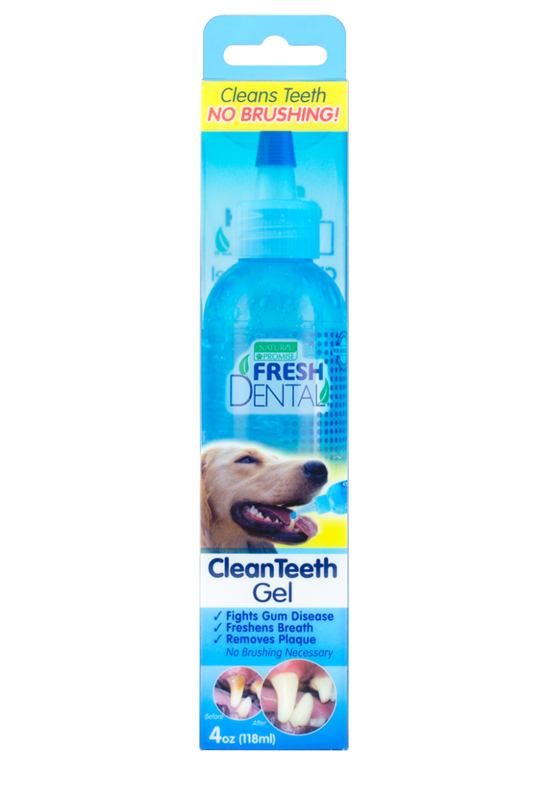 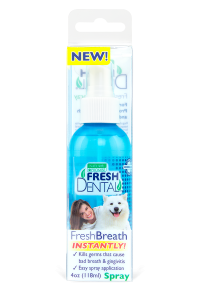 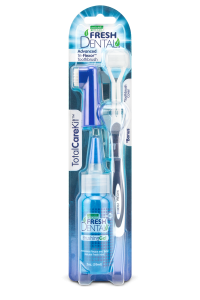 Fresh Dental Clean Teeth Gel helps remove plaque and tartar, fast and easy, no brushing required. 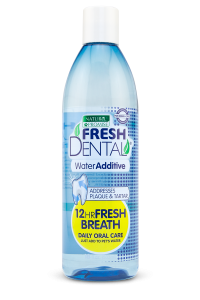 Purified Water, Natural Cleanser, Mint, Natural Derived Alcohol, Carbopol, Green Tea Leaf Extract, Glycerin.